Taking care of all your repair and remodeling needs. Browse through our past projects and see our work in action. Brian has been our painter and sheetrock person for several years at our summer cottage and Camillus. Finding a sheetrock person was difficult due to the high ceiling at the cottage, Brian did a beautiful job with both sheetrock and painting. He takes a lot of concern for what you want, when finished it is what you expected. He is courteous, dependable and prompt we highly recommend him. Call Brian you won’t be disappointed. "Brian, We were very impressed with the great job that you did! Thank you so much! I did enjoy the fact that you were able to come over the house in such a short notice and that your work was so expertly done. It was even a nice effect to put the swirls around the light. It certainly was a rough looking ceiling and you made it and the walls really come alive after all your efforts. I felt that your price was very reasonable and we certainly would not have any reservations recommending you to anyone that we know." For More Information Kindly Contact Us! Drywall Syracuse is one of the most renowned and well reputed commercial drywall contractors having immense experience in home remodeling, renovation and repair services in Central NY and Onondaga County. As a best renovation company we have local drywall contractors that understand diverse customer requirements and provide them satisfactory services according to their demand. Drywall Syracuse has gained enough momentum in recent times for offering top quality services to its clients in the region. . Over the years, we have maintained our reputation in the remodeling, repair, and renovation industry where we are best known for using quality products and timely services. As a leading and best drywall contractors in in Central NY and Onondaga County we are founded with a mission to turn your dream home or property into a reality. From a simple interior or exterior paint service to remodeling the entire space, we can do it all for you! We, at Drywall Syracuse, believe in taking care of all your home remodeling and repair needs at a fair price. Unlike other remodeling contractors, we ensure that you receive a great ROI when you choose our renovation company. Our commercial drywall contractors are highly qualified professionals and know the significance of detail-orientation. When you choose to work with us, we stay connected with you from the initial phase to the final delivery. In a short span of time, we have become market leaders as we are not afraid of going an extra mile for our customers. From providing free consultancy and a free detailed quote to delivering efficient service, we guarantee to not disappoint you. Our experts know how to complete the job in the first attempt! Drywall Syracuse is a local drywall contractors best known for completing quality projects on time and with cost-effectiveness. Is your drywall or plaster seriously damaged? It is important to take appropriate action at the earliest to resolve the issue in Central NY and Onondaga County. We, at Drywall Syracuse, can help you fix the damage as well as avoid such problems from happening in the future. Our expert local drywall contractors in Central NY and Onondaga County have all the experience and knowledge to get a good job well done. We are the best drywall contractors when it comes fixing repair and restoration in a cost-effective manner. 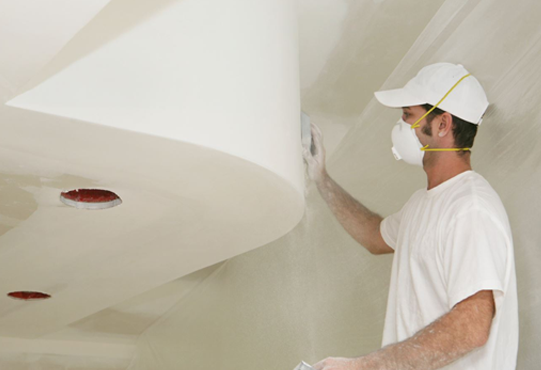 Painting: Drywall Syracuse offers interior and exterior paint services to give your property a different look in Central NY and Onondaga County. We make use of only top quality paint products that offers lasting results. Painting has two primary benefits. Firstly, it protects. A good coat will keep the moisture and sun at bay. The second benefit is that it gives a neat look adding and beautifies your interior and exterior. Kitchen and Bathroom Remodeling: People with generally older homes or properties are unable to leverage the newer kitchen and bathroom models. Need not worry! With our kitchen and remodeling service, we make your lives easier and properties beautiful. Drywall/Plaster Repair: Is your drywall or plaster seriously damaged? It is important to take appropriate action at the earliest to resolve the issue. We, at Drywall Syracuse, can help you fix the damage as well as avoid such problems from happening in the future. Our repair experts have all the experience and knowledge to get a good job well done.